'Rosa' comes from the Greek 'roden' meaning 'red', as the ancient rose was thought to have been crimson. The 10th century Persian physician, used the rose as his first plant to distill and a rose distillery existed in 1612 in Shiraz, Persia. It is floral with a rosy hint obtained by cold pressing of flowers and is widely used in aromatherapy and cosmetic application. A small, erect, prickly shrub with unequal, large, hooked prickles and many bristles, leaves compound, alternate, leaflets usually five, rachis not prickly, flowers usually pink, very fragrant, very double on long slender pedicels, calyx tube globose, ovoid, the mouth contracted, lobes 4-5 imbricate, petals many, stames many, inserted on the mouth of the calyx tube. Chemical constituents:: Rose oil has various chemical compounds that include Citronellol, phenyl ethanol, geraniol, nerol, farnesol and stearpoten with traces of nonanol, linalool, nonanal, phenyl acetaldehyde, citral, carvone, citronellyl acetate, 2-phenylmenthyl acetate, methyl eugenol, eugenol and rose oxide. The therapeutic properties of rose oil are antidepressant, antiphlogistic, antiseptic, antispasmodic, antiviral, aphrodisiac, astringent, bactericidal, choleretic, cicatrisant, depurative, emmenagogue, haemostatic, hepatic, laxative, nervous system sedative, stomachic and a tonic for the heart, liver, stomach and uterus. Oil soothes and harmonizes the mind and helps with depression, anger, grief, fear, nervous tension and stress and at the same time addresses sexuality, self-nurturing, self esteem and dealing with emotional problems. It is very helpful for poor circulation and heart problems, which includes heart palpitations, arrhythmia and high blood pressure as well. It is also used to boost the liver and gall bladder. Rose oil assists in cases of asthma, coughs, hay fever, liver congestion and nausea. It is also effective for moisturizing and hydrating the skin. It is used to repair broken capillaries, inflammation and is useful in eczema and herpes. 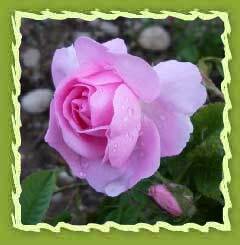 Rose oil is useful in eczema and herpes. It is most effective for moisturizing and hydrating the skin while having a general stimulant and antiseptic action which is good for all skin types, but especially so for dry, mature and irritated skin. Rose oil is used in preparations of inhalations, cold creams and lotions and other cosmetic uses. It may be used in potpourri as a pleasant scent. It can be mixed with vegetable glycerine for moisturizing use. 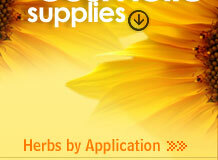 It is mostly used in perfumery and also in toilet preparations, lozenges and toothpaste. It is used in flavoring agent for cakes, candies, tea, jams, rose vinegars, salads and cream caramel. It is also used as addtive to drinks , beverages and yogurt. It is also used in preparing butter, syrup, jams and honey. Rose oil is used in desserts, pastries and cakes.